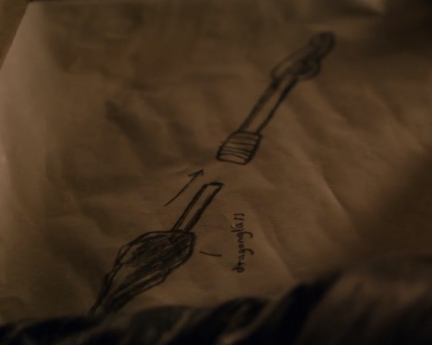 In season 8 episode 1, Arya asks Gendry to forge her a dragonglass weapon (which we can see drawn). What is the purpose of this weapon? Reed is a new contributor to this site. Take care in asking for clarification, commenting, and answering. Check out our Code of Conduct. As of now we don't know what it actually is, and all we have to go off is the schematic and Dunne's comments. That said the schematic shows two pieces that fit together and can come apart with one end being tipped in dragonglass so it is likely a long weapon that can be split into two dagger like weapons. From Dunne’s comments and those schematics, this looks to be a spear-like weapon that can unscrew into being two short-range stabbing weapons as well. 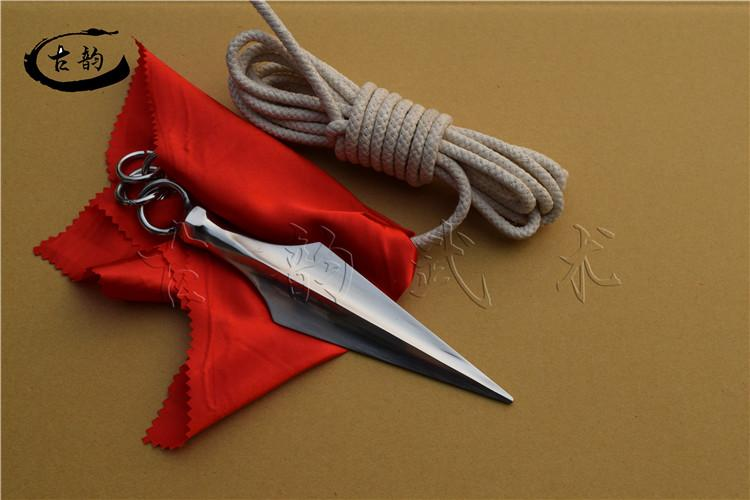 Essentially, a double-ended spear that can also act as two daggers. One tip is definitely dragonglass—we can tell that from Arya’s schematics. Is the other end using her Valyrian steel dagger blade? Is that flame? Just an ornate handle? Unlikely just a handle—that doesn’t seem like Arya’s style. We’ve actually probably already seen Arya using this weapon in a few brief shots from the Season 8 trailer. Tom Norman is a new contributor to this site. Take care in asking for clarification, commenting, and answering. Check out our Code of Conduct. How was Jon Snow able to kill the White Walker in S05E08? When did Jeor Mormont ask Tarly to send the ravens? What is Petyr Baelish planning with regards to Arya? Why is dragonglass effective against White Walkers? Is anyone mining the Dragonglass? Has Tyrion been right on any major points in season 7? What is the current canonical age of Sansa, Bran and Arya Stark?